What Does The Best Bond Cleaning In Fairfield Cover? Finding and selecting reliable house cleaning in Fairfield is not easy. The most common questions we get asked by people like yourself have been collated below to assist you in making a smart decision. 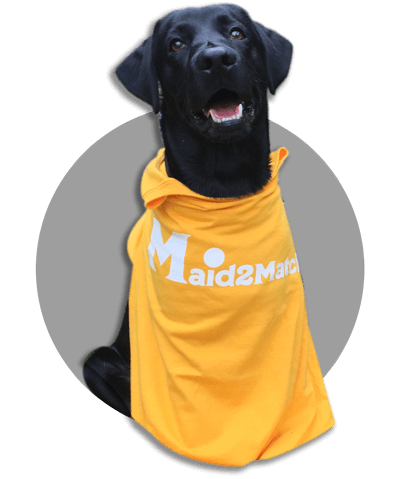 WHY ARE MAID2MATCH FAIRFIELD’S BEST AT VACATE CLEANING? The truth is great bond cleaners possess a different skill set than regular house cleaners and therefore requires specific experience, dedication, and a first-class cleaning checklist. At Maid2Match, we personally vet all our cleaners, after having them complete a three-part application form. We provide extensive support and have crafted the most effective bond cleaning checklist you’ll find. Our team is the go-to for end of lease carpet cleaning. The suburb of Fairfield has Brisbane CBD to its north, 5 kilometres away. This suburb is set on the picturesque Brisbane River and is a residential area that boasts unit accommodation alongside houses. Apart from Brisbane River to its west, its other neighbours include the Beenleigh railway line in the east, the South Brisbane Cemetery to the north and Venner Road in the south. One of the most important tourist attractions in the area is the Fairfield Library that’s been open since 1988, and which was refurbished in 2011. Located in the Fairfield Gardens Shopping Centre, the library offers a lot of interesting activities for different ages, including Toddler Time. The Fairfield Gardens Shopping Centre is filled with all sorts of fashion shops, restaurants, food stores, beauty salons, retail services, and also features a medical centre. You can regularly find different sorts of workshops here if you want something new to learn. There are lots of parks in the suburb, along with the Skate Park that’s great for young people. The public transportation is also good, with the Fairfield train station nearby. There are also three bus lines, one of which can take you to Fairfield gardens, and the Taxi rank is available too.